Welcome to Our Crafty Mom! 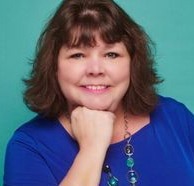 I am thrilled to be participating in my first May Flowers Home & Garden Tour Blog Hop with a great group of very talented bloggers. Probably my favorite thing about blogging is “meeting” so many wonderful people. I feel like I have friends all over the World. Some of my blogging buddies are from Canada, Greece and Italy to name a few. How cool is that? A huge thank you to Debbie from Chatham Hill On The Lake for organizing this blog hop! Alright, let’s get to the tour! 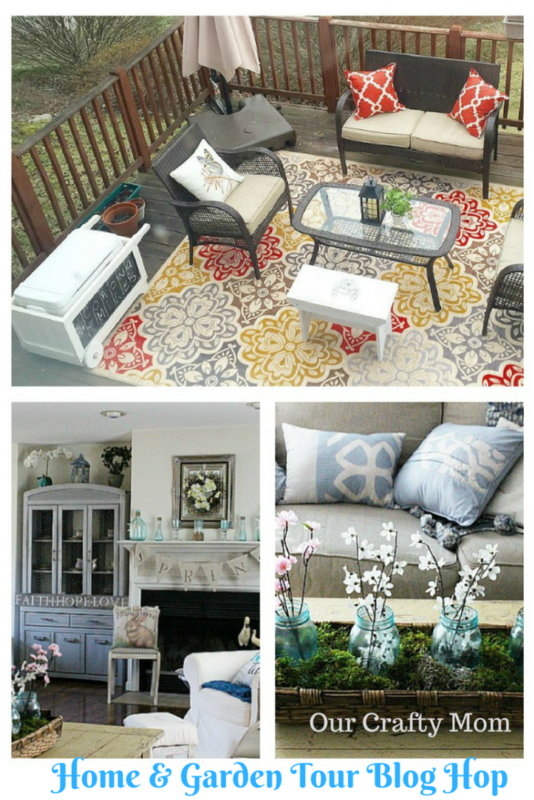 For this Home & Garden Tour I decided to focus on my living room and deck as they are my two favorite and most used places in the house once the warmer weather rolls around. We have an open concept with the living room open to the dining room. I didn’t realize how many DIY projects I had in this room until I actually put this post together. 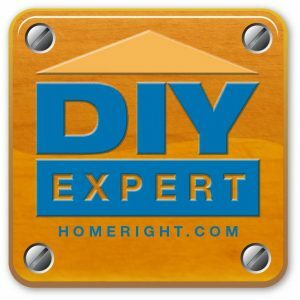 I love to shop at thrift stores and refinish furniture. It is a great feeling to give a piece of furniture new life. This rolled arm nail head trim couch is something I bought when we moved to the Townhouse close to 3 years ago. I really took my time with the purchase and did a lot of research. It was important to have good quality that would last with daily use, but also something with character. Three years later the couch still looks great-despite being a light color and with a cat and a messy 26 yo! 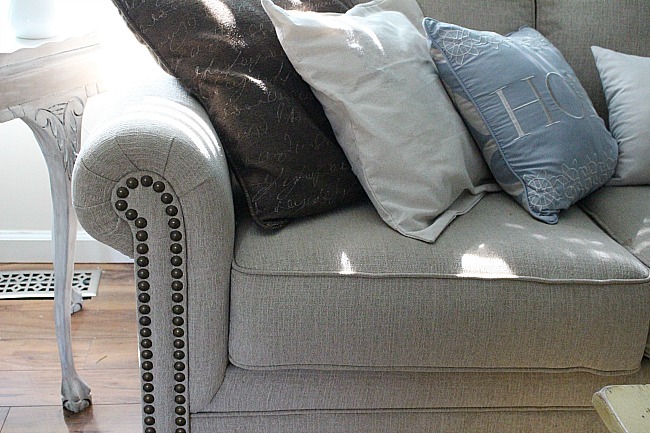 One thing I like about decorating with neutrals is you can completely change the look just by changing out the throw pillows-which I do often. I admit to having a slight obsession with pillows. The good thing is I love to DIY pillows to keep costs down and I always use both sides to save as well. 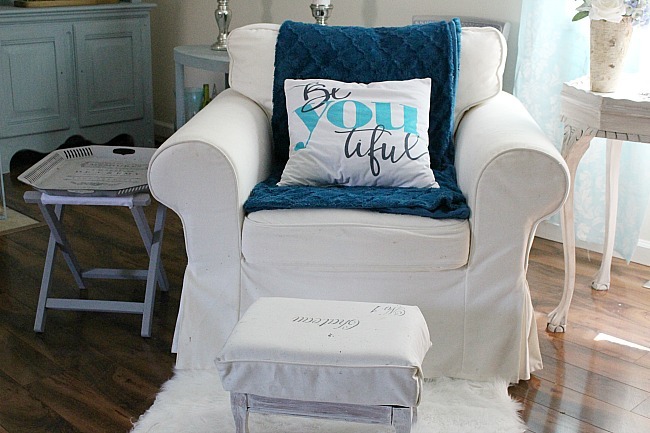 This is one of my favorite stenciled pillows. 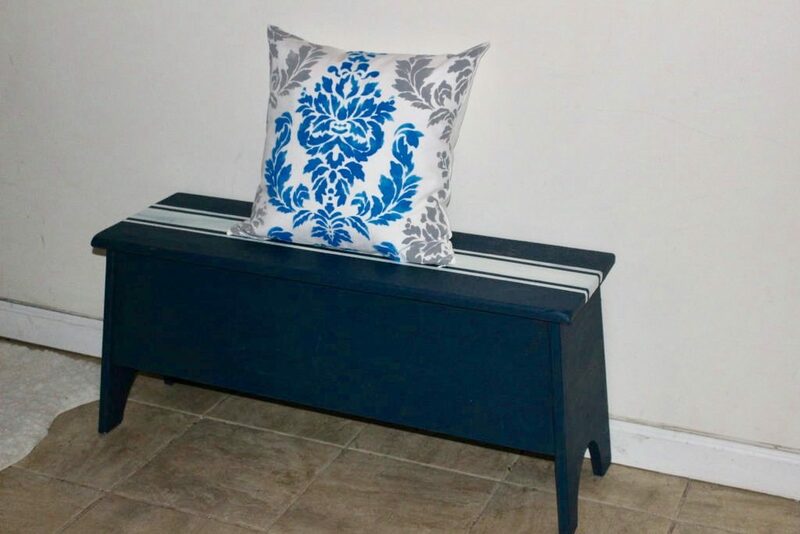 The refinished bench is such a help in the small entryway as it opens for storage. You have to check out the before picture of this bench-think 90’s floral stenciling! You know how there is usually a “Dad’s chair” most likely a recliner? Well, this is “Mom’s chair” and I love it! This is my favorite spot to read and blog. It is an IKEA Ektorp chair. This was also purchased when we moved here and even with a black long haired cat it has held up great! Both the claw foot table on the right and the tray table were DIY projects. You can see the before here and here. Chalkboards and faux fur are another thing I just love. This large chalkboard was a mirror I picked up for $3! 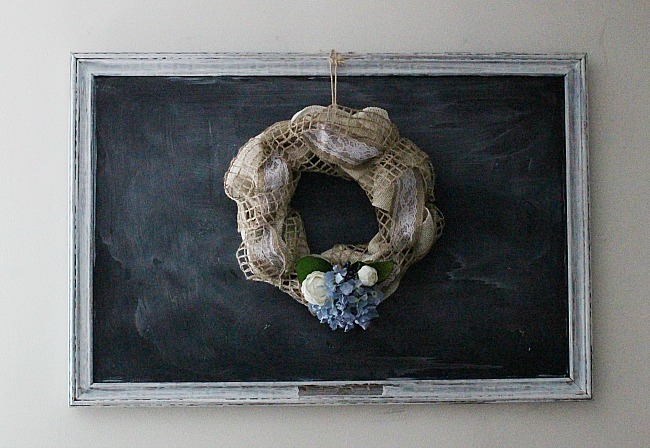 really want to paint a small wall in chalkboard paint! Maybe someday. 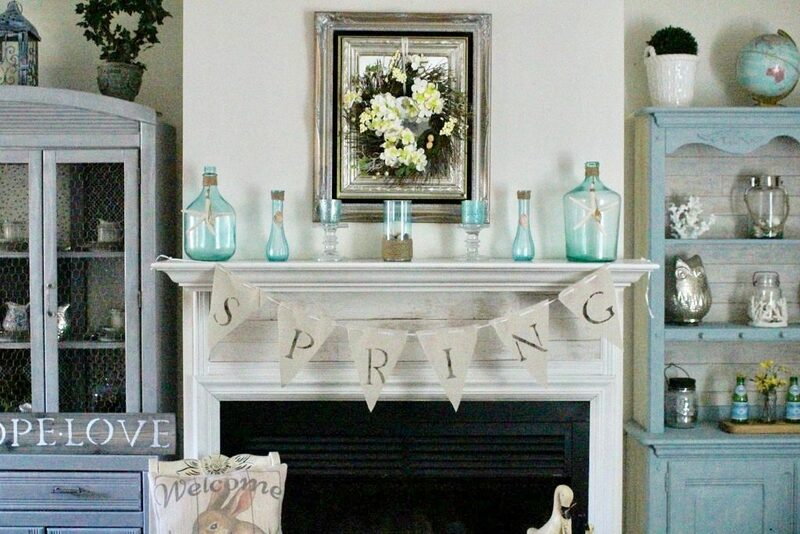 Next up is the mantel all decked out for Spring with my new DIY Stained Glass Jars that I just shared today. These glass jars will actually set the stage for the Summer Coastal Mantel which I will be sharing in a Mantel Blog Hop in a couple of weeks. Stay tuned for that! 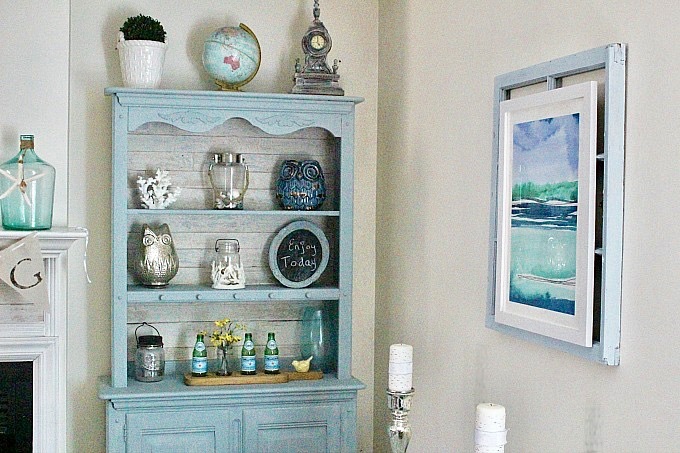 Would you believe that hutch was bought on Craigslist for $35? I added faux wood wallpaper to the back and painted it a soft blue. You can see the makeover here. 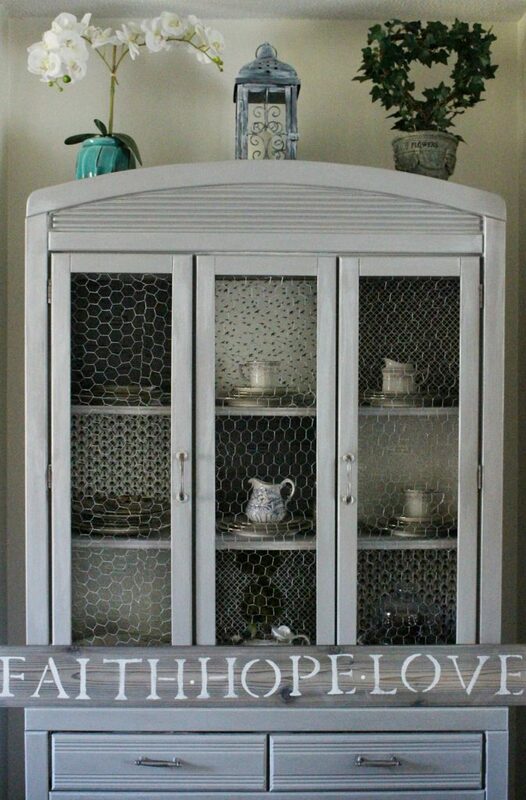 This hutch received a farmhouse update with chicken wire replacing the glass. This poor hutch has been refinished about four times, but it is 20 years old so that’s not too bad right? Do you find that y0ur tastes change over the years or you get bored with a piece? Please tell me I am not the only one! You can see the before here. Now let’s take a look at the deck. My absolute favorite hangout spot from May-September! The furniture was purchased at Target and four years later is still like new! It is too early in New England to put out flowers. I usually wait until at least Mother’s Day. I can’t wait to add the window boxes and my herb garden! I hope you enjoyed this Home & Garden Tour. Be sure to visit the links below to see their lovely tours! Beautiful home, Michelle and so tastefully decorated. I’m swooning over your beautiful pillows and don’t get me started on your patio rug! Love the soft hits of blues and grays. Your home is so pretty Michelle, I love all the white and blue and the hutch with the chicken wire is amazing! I have a mom chair too, lol and it’s the best!!! Everything looks so beautiful! You just gave me ideas on how to make our deck look great. Thank you! Michelle your home is like I pictured it. Beautiful, stylish and created with talent. 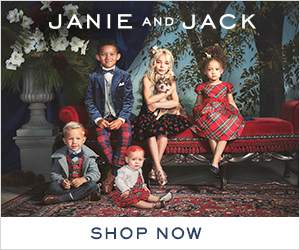 All the one of a kind pieces blended together tell a story. You have such great taste and the talent to create it. Congrats this post is fantastic. Such a pretty home you have! 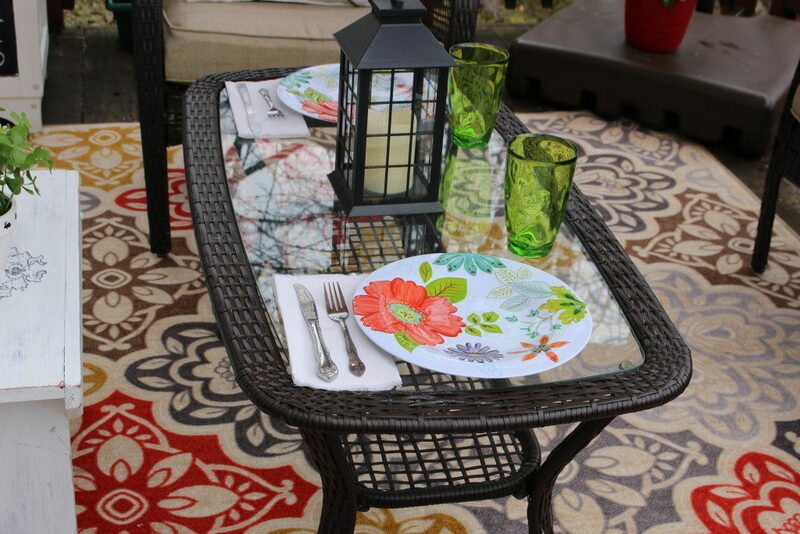 I love your outdoor rug! Michelle, everything in your home is just beautiful! Love all of the shades of blue and white in your living area and what a fabulous back deck you have! So gorgeous!! I am totally, with you too on blogging too!! The friendships that are formed and from all over the world. It truly is awesome! Your home is beautiful. I like how calming the interior is with the whites and soft blues. And then outside you have all these fun colors. That deck is gorgeous! Just Wow! I love that you can point out and link to all of the projects in your rooms. The whole thing is just gorgeous and a lot of it was personally done by you. You are amazing! Your home is so beautiful, Michelle! I love how light and bright it is! 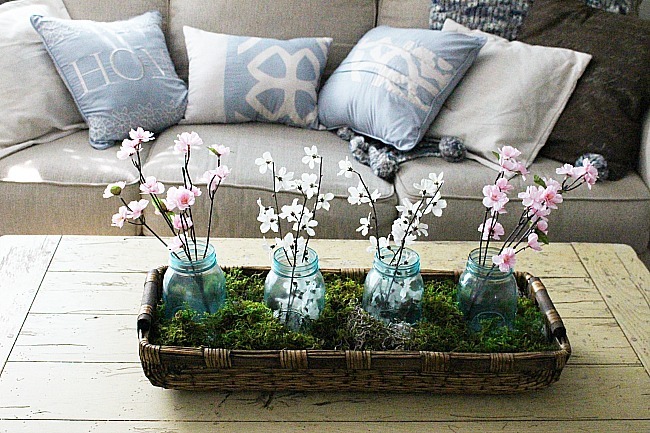 Your DIY projects are so creative and inspiring. Everything is so beautiful and calming! Your home is beautiful and I love that rug from Big Lots. Thank you for sharing with us this week at Celebrate Your Story, and have a great weekend. I love your house and that rug is amazing no wonder you fell in love! 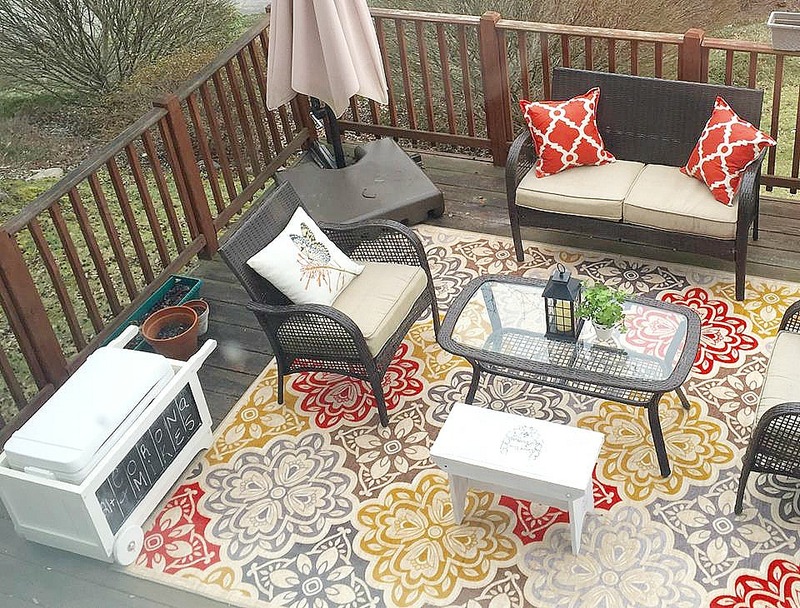 Your home is beautiful, Michelle, and it looks so ready for spring!! Michelle – what an amazing living room. 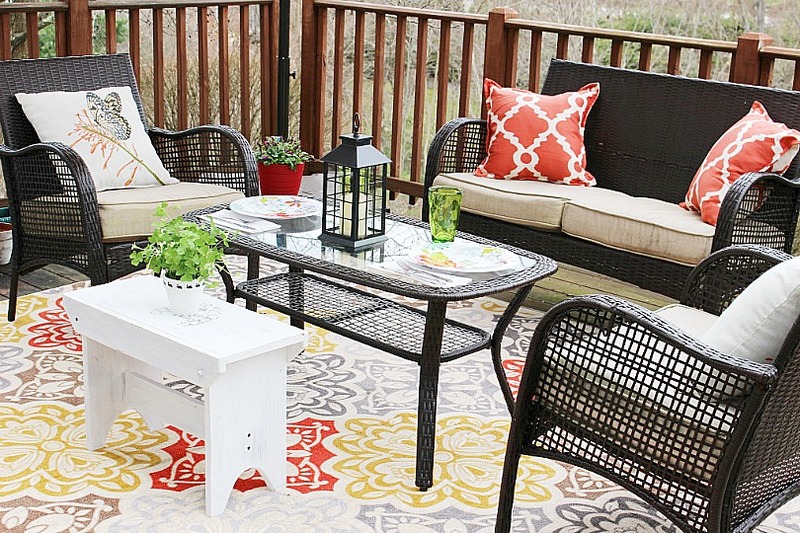 I am inspired to start creating a summer look in my home! You have clearly put in time and effort for your various pieces; I am looking to reading more about how you did your transformations! Loved your tour!!!! So sorry it took me so long to get over to your house. I am excited for your mantle because I am a coastal nut…living away from the ocean and longing for it can make you that way. Your finds are so wonderful. What a treat to boast about a $35 find that you made look like that! That stenciled pillow is crazy cute, I want one or two or four! And though I thought I found the best rug ever last week at Tuesday Morning, well yours is stunning! Overwhelmed by the love I see in your interior and exterior home. Thank you for giving me a shout out but it wasn’t any effort to pull this together, it is the participants like you that make it such a great success. 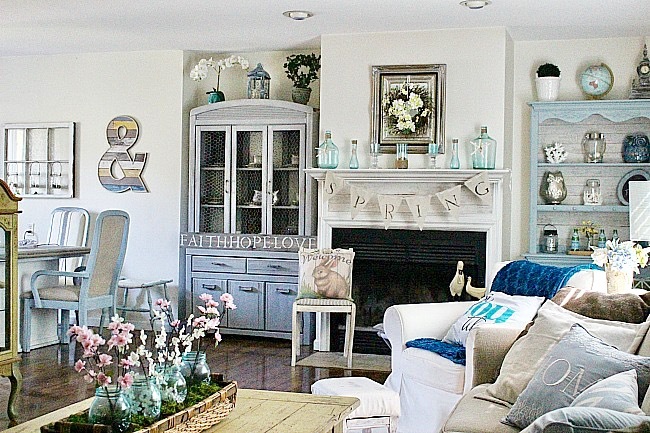 Your house is so pretty Michelle, I adore all the white and blue and the cubby with the chicken wire is astonishing! I have a mother seat as well, lol and it’s the best!! !